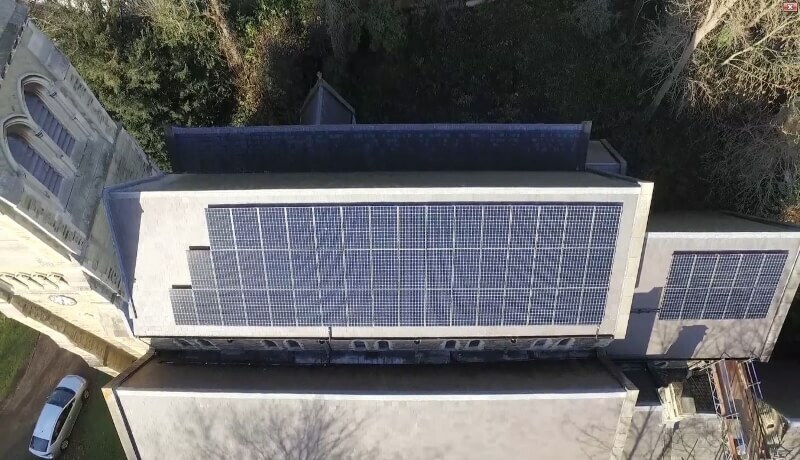 Our friends at Power Up North London developed a 19 kW solar PV project on the south facing roof of St. Anne’s church – this video shows how they did it! The scheme will benefit the church and surrounding community while contributing to wider efforts to cut carbon. • The panels will generate an estimated 16,465 kWh of clean energy a year, which equates to a reduction in carbon emissions of around 8.7 tCO2/year. • The church will benefit from discounted energy, through a power purchase agreement with Power Up North London. Since then there have been a few changes to Government incentives. Now the biggest financial reason for installing solar will be for savings on electricity bills. Feed in Tariff and Export payments are still available but are dwarfed by the larger bill savings available if solar is installed on the right roof. For a successful community energy project to work we need to find suitable roofs and find sites with high day time energy consumption. Community groups will be able to sell the energy generated from the solar panels to the host building using a mechanism called a Power Purchase Agreement (PPA). Normally the energy is sold at a discounted rate compared to what a utility would charge. This way community investors will be able to get a return on their up-front investment and the building users will be paying a cheaper rate for the electricity they use. The building users also benefit as community solar schemes exempt them from business rates, which they would have to pay if they owned the system themselves. 4. Type of roof covering, in order of preference: Metal trapezoidal roof, tiled roof, flat roof, slate roof. Asbestos roofs are the worst! We built the very first community solar scheme in the UK back in 2008, and since then have also built high-profile projects for the Low Carbon Hub (including a huge scheme at Prodrive), Energy4All and Marks and Spencer.